by Tom Balek, Contributing Author: I was in Washington, DC yesterday and after I finished my business there I had a few hours of free time before my flight home. 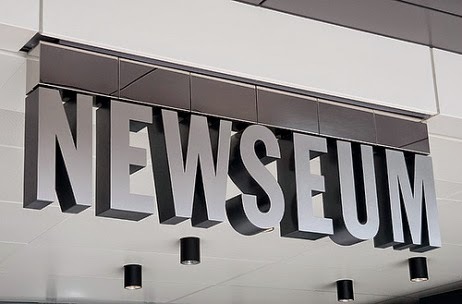 I had been wanting to visit the Newseum, and here was my chance. 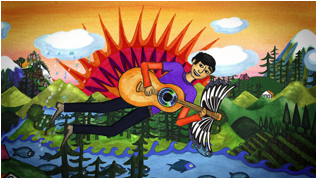 Tom Balek – Rockin' On the Right Side is a fellow conservative activist, blogger and musician. Tom and the ARRA News Service Editor left part of their hearts in Montana. Tom resides in South Carolina and between playing in weekend bands, he seeks to educate those too busy with their work and families to notice how close to the precipice our economy has come. Even idiot rock stars can't resist taking a shot at Fox News. Tags: Newseum, tilts left, left stream media, Tom Balek, Rockin' On The Right Side, To share or post to your site, click on "Post Link". Please mention / link to the ARRA News Service. and "Like" Facebook Page - Thanks! 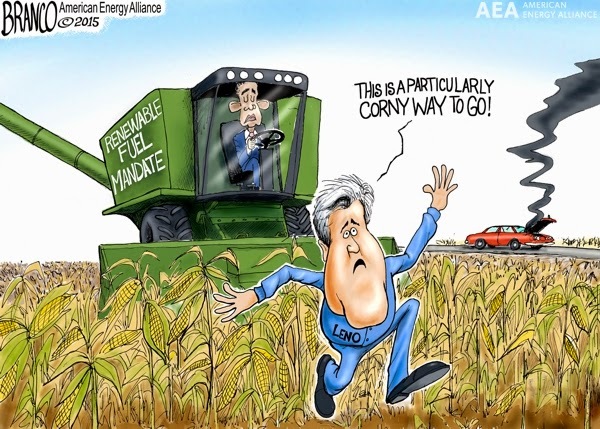 Obama's 'Corny' Mandate . . .
. . . Obama fuel mandate is creating higher prices for food, fuel, and products for consumers across the nation. Jay Leno says it’s hurting older cars not equipped to to deal with the destructive effects of bio-fuels. Tags: Barack Obama, Corny mandate, Obama fuel mandate, higher prices, food, fuel, products, editorial cartoon, AF Branco To share or post to your site, click on "Post Link". Please mention / link to the ARRA News Service. and "Like" Facebook Page - Thanks! Congress is not in session today. The Senate will reconvene on Monday and take up the Senate’s budget resolution. The House will reconvene on Monday at Noon. Yesterday, for the third day in a row, Senate Democrats voted to filibuster S. 178, the bipartisan Justice for Victims of Trafficking Act of 2015. That makes it the fifth time they've voted to block moving forward on the bill. Yesterday the House passed along party lines 232 to 186 with all Democrats voting against S.J. Res. 8 — "Providing for congressional disapproval under chapter 8 of title 5, United States Code, of the rule submitted by the National Labor Relations Board relating to representation case procedures." 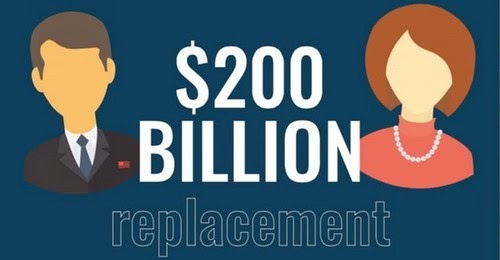 Leader McConnell asked the Governors to “carefully review the consequences before signing up for this deeply misguided plan. I believe you will find, as I have, that the EPA’s proposal goes far beyond its legal authority and that the courts are likely to strike it down. All of which raises the very important question of why the EPA is asking states at this time to propose their own compliance plans in the first place. In a reportthis morning, The New York Times writes, “Senator Mitch McConnell of Kentucky has begun an aggressive campaign to block President Obama’s climate change agenda in statehouses and courtrooms across the country . 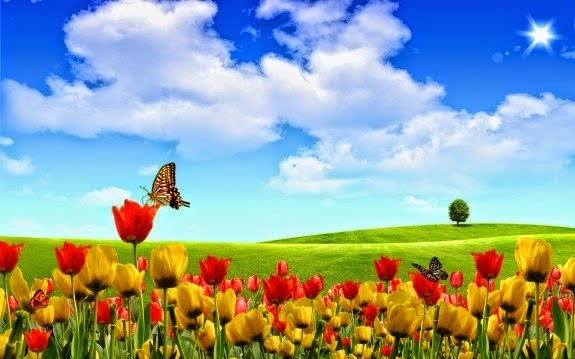 . . .The campaign of Mr. McConnell, the Senate majority leader, is aimed at stopping a set of Environmental Protection Agency regulations requiring states to reduce carbon pollution from coal-fired power plants, the nation’s largest source of greenhouse gas emissions. “Once enacted, the rules could shutter hundreds of coal-fired plants in what Mr. Obama has promoted as a transformation of the nation’s energy economy away from fossil fuels and toward sources like wind and solar power. 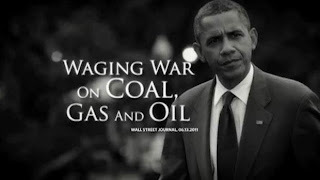 Mr. McConnell, whose home state is one of the nation’s largest coal producers, has vowed to fight the rules." . . . The NYTalso discussed the McConnell strategy: “As he campaigned across Kentucky’s economically ravaged coal towns last fall, Mr. McConnell frequently declared that he would do everything in his power to battle what he calls Mr. Obama’s ‘war on coal.’ . . .
“Using its existing authority, the E.P.A. will require each state to submit an individual plan for cutting emissions from power plants. Ultimately, the success or failure of the plan will depend on how — and if — states comply with the rules. It will also depend on the courts. Coal-dependent states and coal mining companies are already planning legal challenges to the regulations. Those coal-dependent states are where Mr. McConnell has trained his fire. . . .
“Mr. McConnell contends that the Obama administration has bypassed Congress and stretched the boundaries of existing law to impose climate change regulations — and that he intends to step outside of Congress and use creative legal methods to push back. . . . [L]ongtime experts in the field of climate change law and policy say that Mr. McConnell’s unconventional efforts could prove formidable. Tags: Obama, EPA, War on Coal, War on States, Senate Dems, filibuster, Justice for Victims of Trafficking Act To share or post to your site, click on "Post Link". Please mention / link to the ARRA News Service. and "Like" Facebook Page - Thanks! IBD Editorial: Exortation: After 16 banks caved in to White House demands to refund billions in losses to Fannie Mae and Freddie Mac, one outlier remains unrepentant. Nomura Holdings refuses to succumb to the political shakedown. The Japanese bank's U.S. unit won't give in to the extortionist regulators protecting Fannie and Freddie who claim it hoodwinked the toxic twins into buying pools of subprime mortgages, like it claimed Bank of America, JPMorgan and other U.S. banks did in the run-up to the mortgage crisis. The government demands $1 billion in damages. Nomura says it won't give a dime toward the $18 billion ransom the feds already have shaken out of other banks who settled with the Federal Housing Finance Agency. Instead, it will make government prove it in court. In opening arguments this week, the defendants argued Fannie and Freddie bought the mortgages knowing they were subprime and did so to meet "affordable housing" quotas of their political masters at HUD. Unfortunately for Nomura, the game is rigged. The federal judge hearing the case — Clinton appointee Denise Cote — is a ringer for the administration. In recent filings, Cote has shown extreme prejudice in her decisions — virtually all rendered against Nomura. Even though she concedes that, in buying subprime securities from Nomura, "Freddie Mac considered the extent to which the underlying mortgage loans satisfied these housing goals," Cote claims such evidence is "immaterial" to the case. She argues the regulatory mandates, purchasing quotas and other political pressures heaped on Fannie and Freddie were merely "idiosyncratic" and therefore irrelevant. Please. The HUD goals are highly relevant to this case. Internal documents from both HUD and Fannie and Freddie show the goals were driving them deeper into the subprime securities market and both complained about a growing risk of losses. 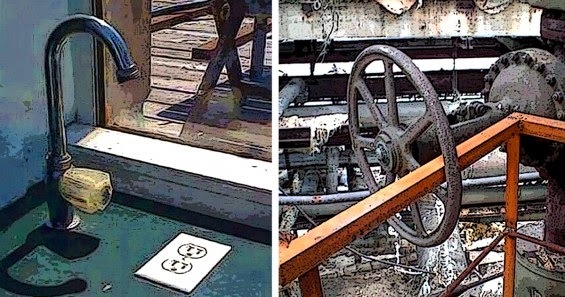 So clearly, they understood the risks. There was no "misrepresentation." And if they failed to perform the proper due diligence, it's because it wouldn't have mattered — they had to buy risky subprime securities to meet HUD quotas for loans to low-income borrowers with bad credit. They were culpable in the recklessness, and therefore culpable in the losses they suffered when those loans defaulted. Nomura shouldn't be on the hook for those losses. 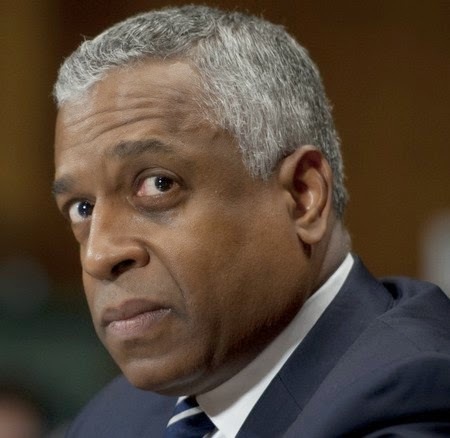 In its defense, Nomura plans to call former Fannie and Freddie officials, including former Fannie CEO Daniel Mudd, to testify about how it was Fannie and Freddie who on orders from HUD lowered underwriting standards, not Nomura. According to former Financial Crisis Inquiry Commission member Peter Wallison's "Hidden in Plain Sight," Mudd wrote to a top HUD official in 2007: "In 2006 Fannie Mae relaxed certain underwriting standards and purchased some higher risk mortgage loan products in an effort to meet the housing goals. The company continued to purchase higher risk loans into 2007, and believes these efforts to acquire goals-rich loans are partially responsible for increasing credit losses." So Nomura didn't sell them fraudulently sub-standard loans from 2005 to 2007; Fannie and Freddie had already lowered standards to find more goals-qualifying loans in that riskier market. Portraying the largest, most sophisticated players in the mortgage market as rubes or victims is laughable. Fannie and Freddie knew what they were buying. They have only themselves — and their regulators — to blame. Even now, Fannie warns investors of the "risk factors" associated with its housing goals, which are now enforced by FHFA. 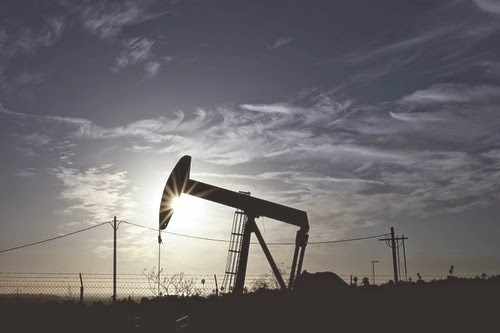 "The potential penalties for failure to comply with housing plan requirements include a cease-and-desist order and civil money penalties," it reported in its Dec. 31 10-K filing. "As described in 'Risk Factors,' actions we may take to meet our housing goals may increase our credit losses and credit-related expense." Cote is expected to rule against Nomura sometime next month. When she does, the administration no doubt will trumpet it as proof Fannie and Freddie were steered into subprime waters by greedy Wall Street bankers and not their politically driven regulators. Don't buy it. It's part of the ongoing cover-up of government's role in the financial crisis. 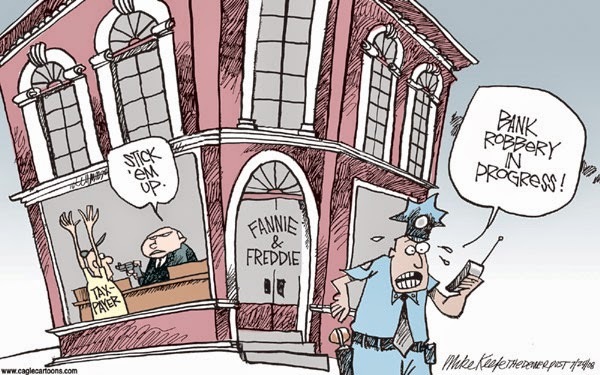 Tags: Fannie Mae, Freddie Mac, failure, IBD, Ivenstment Business Daily, editorial, editorial cartoon, Mike Keefe To share or post to your site, click on "Post Link". Please mention / link to the ARRA News Service. and "Like" Facebook Page - Thanks! by Kate Scanlon: After a failed attempt to block implementation of the president’s executive action on immigration by not funding it through the Department of Homeland Security funding, Congressional Republicans are seeking another strategy to combat the president’s action. One writer has raised the idea of blocking judicial nominees until the president relents. Curt Levey, the president of the Committee for Justice, wrote in an op-ed for The Wall Street Journal that Congress should block all of President Obama’s circuit court nominees. “If Republicans opt for a plan, their best bet is a vow not to confirm the president’s appeals-court nominees until he rescinds his immigration fiats. This strategy has virtues that others do not,” wrote Levey. Levey called this approach “more modest,” with a “better chance of success” than previous efforts. “Judicial appointments are an important part of any president’s legacy because federal judges serve for life, long beyond the terms of the president and his executive appointees. 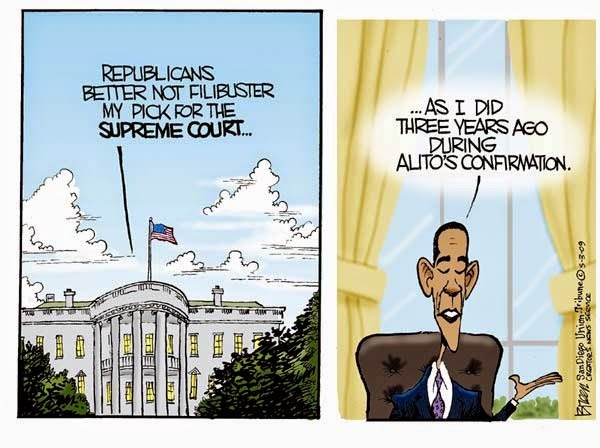 Judicial confirmations slow to a trickle during the final year of a presidential term, so Mr. Obama knows that 2015 is the last good year for getting judges confirmed,” wrote Levey. Levey called it a “no-lose” strategy, either resulting in Obama backing down from his orders and a “victory for the Constitution,” or “vacancies” in the judicial system for the next president to fill instead. Levey added that there is “limited potential for public outrage” unlike blocking high-profile nominees such as attorney general nominee Loretta Lynch, or shutdowns of the government or various agencies. “It will be a test of wills, but one I think we can win,” said Levey. Hans von Spakovsky, a senior legal fellow at The Heritage Foundation, applauded Levey’s suggestion. “In fact, I don’t think the Senate should approve any nominations until the president backtracks,” added von Spakovsky. Tags: strategy, stopping, obama Executive Action, Immigration, To share or post to your site, click on "Post Link". Please mention / link to the ARRA News Service. and "Like" Facebook Page - Thanks! Dr. Bill Smith, Editor: President Obama in less than 24 hours has "backtracked" on his mandatory voting statement. Someone must have reminded him that "free speech" also included one's right not to speak or to not express their opinion. Liberals hate it when they cannot garner enough "love me" support by the very people whom they demean and hold in low disregard. In counties ruled by dictators, Lord help the voter who does not have his or her name marked as having voted in the election where only the "supreme leader" is on the ballot. by Paul Jacob, Contributing Author: Transformer-in-Chief Barack Obama is at it again. The president's latest tune is a variation on a very old theme: whatever government breaks "requires" a new government program. See a problem; propose and enact a government solution; the problem gets worse, some new ones pop up; blame everything on the voluntary, "freedom" side; demand more and newer government programs. It's a trap. Literally, since it involves more coercion by government at every step. Here's the story: President Obama was largely repudiated at the polls last November. The performance of his administration and congressional allies proved so lackluster that his party couldn't muster much of a vote in their favor. So now Obama promotes the idea of compulsory voting. "It would be transformative if everybody voted," Obama said. He mentions Australia, which has had mandatory voting for a while. He doesn't mention North Korea, which also forces its citizens to vote, or that totalitarian and authoritarian regimes have often used compulsory voting to give their dictators a patina of "democratic legitimacy." I'd be embarrassed to bring it up. Obama brought it up in the context of fighting the influence of big money. So, to fix particular problems, government gets involved in the economy generally, everywhere - and not by playing umpire to establish a "level playing field," but by siding first with one group, then with another, with mandates, prohibitions, regulations, etc. (He calls all this "fair," incredibly.) Naturally enough, affected businesses and individuals petition for insulation from each and every proposed "fix." Many go on for special favors. 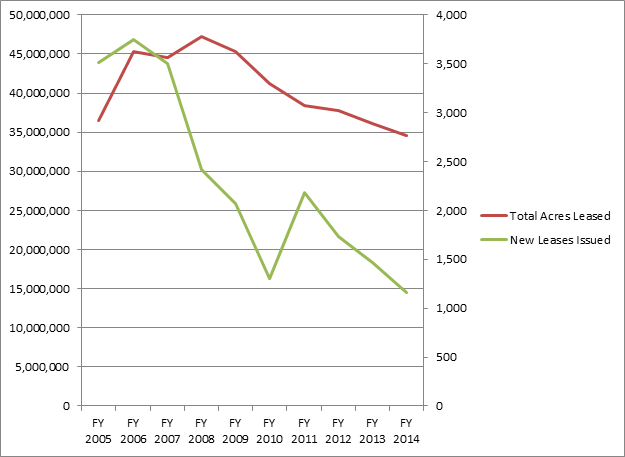 This leads to increased money in campaigns, as well as increased lobbying. So now? Direct coercion of citizens - simply to "get out the vote." It's always force with these folks. Tags: Paul Jacob, Common Sense, President Obama, Latest Big Fix, mandatory voting To share or post to your site, click on "Post Link". Please mention / link to the ARRA News Service. and "Like" Facebook Page - Thanks! S.J. Res. 8 — "Providing for congressional disapproval under chapter 8 of title 5, United States Code, of the rule submitted by the National Labor Relations Board relating to representation case procedures." Passage of S.J. Res. 8, legislation would prevent the National Labor Relations Board (NLRB) from implementing its ambush elections rule that drastically shortens the time frame for union elections and compromises the privacy of American workers. H. Res. 132 — "Providing for the expenses of certain committees of the House of Representatives in the One Hundred Fourteenth Congress." The House is expected to adjourn early today until 12 PM on Monday, March 23. Yesterday the House passed (241-175) H.R. 1030 — The Secret Science Reform Act: "To prohibit the Environmental Protection Agency (EPA) from proposing, finalizing, or disseminating regulations or assessments based upon science that is not transparent or reproducible." The Senate reconvened at 11 AM and resumed consideration of S. 178, the bipartisan Justice for Victims of Trafficking Act of 2015. At noon, the Senate again began a vote on cloture on the committee-reported substitute amendment to S.178. If that cloture vote fails, there will be another cloture vote on the underlying bill immediately following. Yesterday, Democrats filibustered the anti-trafficking bill, S. 178, for a third time. Late yesterday, the AP reported, “Senate Democrats blocked debate on stalled human trafficking legislation for a second day Wednesday as a Democratic senator's office belatedly conceded that a staff aide knew weeks ago that the measure included a controversial abortion-related provision. “Democrats have said for more than a week that their side of the aisle was not aware of the provision until a few days ago, nearly two months after the legislation was made public and long after a bipartisan vote in the Judiciary Committee on Feb. 24. Several Democrats have accused Republicans of sneaking it into the measure without their discovering it. In a speech on the floor this morning, Senate Majority Leader Mitch McConnell said, “Throughout Democrats’ filibuster of anti-slavery legislation, this is basically what they’ve been telling us: We don’t read legislation we vote on. “Even so, It was always a stretch to believe that not a single one of the 13 original Democrat cosponsors of this bill — nor the many Democrats who voted for this bill in committee, nor their well-educated staffs — could not have been bothered to make it to page four before deciding to support it. 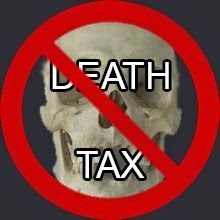 Well, support it, at least until far-left lobbyists told them they couldn’t anymore. “So yesterday’s revelation — that the Democratic side was indeed aware of the language in question — could hardly have surprised anyone. It also makes clear that Democrats decided to yank their support for an anti-slavery bill for one simple reason: because far-left lobbyists said so. “Not because the American people said so. Nearly 70% of Americans support the kind of bipartisan provisions Democrats now claim they object to. And many Democrats have voted for similar bipartisan Hyde language many times before, in both appropriations and authorizing legislation. Today, they have yet another opportunity to put victims of trafficking ahead of left-wing lobbying groups. So far, though, Democrats have voted against doing that. Tags: U.S., House, EPA, No More Secrets, Senate, Human Trafficking Bill To share or post to your site, click on "Post Link". Please mention / link to the ARRA News Service. and "Like" Facebook Page - Thanks! 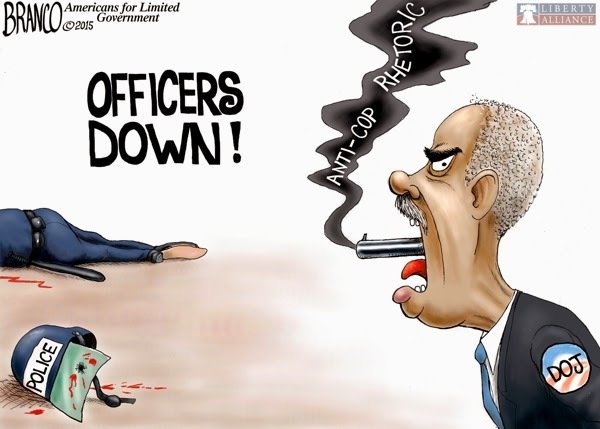 A Smoking Gun at Ferguson . . .
. . . Ferguson police shooting has at least some responsibly lying at the feet of our leftist leaders and their anti-Cop rhetoric. Tags: Editorial Cartoon, AF Branco, Eric Holder, leftest leaders, anit-Cop rhetoric To share or post to your site, click on "Post Link". Please mention / link to the ARRA News Service. and "Like" Facebook Page - Thanks! by Newt Gingrich: Yesterday’s election in Israel is a healthy reminder that the vote of the people matters. It is also a useful reminder that campaigns can make a big difference. Prime Minister Netanyahu focused his campaign on national security. He argued that Israel’s very survival is at stake. His opponents wanted to emphasize the economy. Forced to choose between their pocketbook and their lives, a large number of Israelis chose national security. The bias of the media in this campaign was obvious and deeply anti-Netanyahu. Before election day, there were predictions that Netanyahu’s party, Likud, would only win 21 seats. Then the media decided based on exit polls that the race would be a tie with 24 seats for Likud and 24 for the left. My guess is that media hostility to Netanyahu caused a significant number of those polled to refuse to admit they voted for him. If Netanyahu was the biggest winner of the day, Speaker John Boehner may have been the second biggest winner. His decision to invite the Israeli Prime Minister to address a joint meeting of Congress created a close tie with the newly reelected Israeli leader. President Obama has publicly expressed disdain for Netanyahu and sent political operatives (not to mention, according to some allegations, taxpayer money) to defeat Likud. He lost. This outcome is a good reminder that elections matter. The real vote was very different from the pre-election analysis which was off by 45% in the number of seats won. 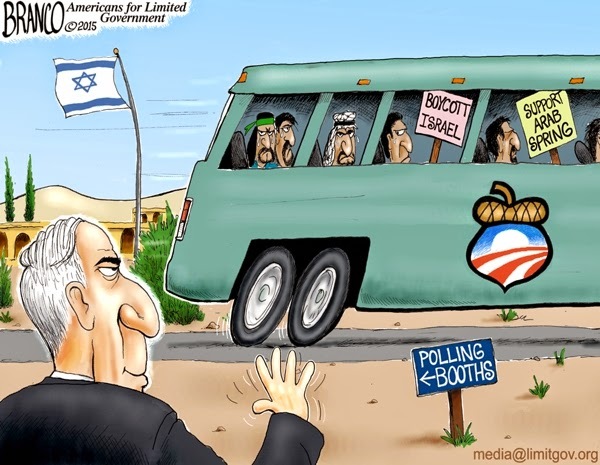 It was also “a far cry from the virtual dead heat that television exit polls had reported Tuesday evening,” as the Jerusalem Post put it. Sometimes leaders have to make powerful, clear, emotional arguments buttressed by compelling and understandable facts. This outcome has to worry Hillary Clinton, who saw Barack Obama win the 2007-2008 primary campaign even though she was far-and-away the frontrunner, in part because she had no argument to make. She seems to have the same problem today. Republicans should take heart that a sound campaign that makes an important argument can lead to a good election outcome. Tags: Newt Gingrich, Israel, Netanyahu, Elections Matter, Campaigns Matter To share or post to your site, click on "Post Link". Please mention / link to the ARRA News Service. and "Like" Facebook Page - Thanks! by Phyllis Schlafly: It seems so early, but eager candidates are already lining up to become the Republican nominee for President in the important race of 2016. There has already been one showcasing in Iowa, and candidates are seeking opportunities to strut their stuff and show why they are different from and better than the others. Former Florida Governor Jeb Bush realizes that he is on the wrong side of the hottest issue at the grassroots, Common Core, so he is stressing his “backbone” in continuing to support an unpopular issue, calling it one of his “core beliefs.” Governor Bobby Jindal, on the other hand, demonstrated his leadership by reversing his original support of Common Core after his own kid came home with the stupid incoherent math homework assigned by the Common Core curriculum. Do conservatives have a future? Can we hope to offer the American people a real choice, not an echo of the loser Republican nominees (Bob Dole, John McCain and Mitt Romney) foisted on us by the little gang we used to call the kingmakers and now call RINOs (Republicans In Name Only)? I remember when one of the U.S. Senate’s all-time greatest orators, Illinois Senator Everett Dirksen, intoned against a kingmaker nominee during a Republican National Convention: “We followed you before and you led us down the road to defeat.” We are still hurting from the way the powers-that-be foisted on us the men we used to call “me-too” candidates (whatever the liberals and Democrats said, the Republican nominee echoed). Do conservatives have a future? Can we hope to elect a choice and not an echo of previous mistakes? We did it in 1980 when we defeated the Establishment choice and nominated and elected Ronald Reagan, the greatest president of the 20th century. Here are some fundamental questions to ask all presidential wannabes. What is your plan to clip the wings of supremacist judges (who believe the Constitution is a “living” document that they can rewrite)? We will not allow supremacist judges to rewrite the definition of marriage, or to abolish placing a cross or a Ten Commandments monument in public places, or to stop the recitation of the Pledge of Allegiance. Do you faithfully support the right to life in all congressional and state legislation and judicial litigation? What is your plan to protect parents’ rights to guide the education of their children? Specifically, will you oppose the adoption in all schools of Common Core so-called standards and tests which, in turn, control the curriculum? What is your plan to protect the jobs of American workers from invasion by amnesty for illegal aliens who do not respect our laws or constitutional government? What is your plan to establish border security? 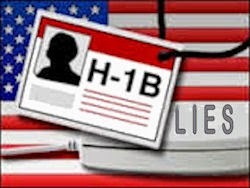 What is your plan to protect the jobs of American workers from foreign trade agreements negotiated by Obama behind closed doors, which pretend to endorse free trade but actually are a cover for outsourcing good American jobs and insourcing foreigners to take away from Americans. It’s time for all Americans to engage in the political battle and make sure we have candidates on the ballot we can support. The kingmakers and RINOs are playing for high stakes: control of federal spending, an awesome amount of money that most Americans can hardly comprehend. 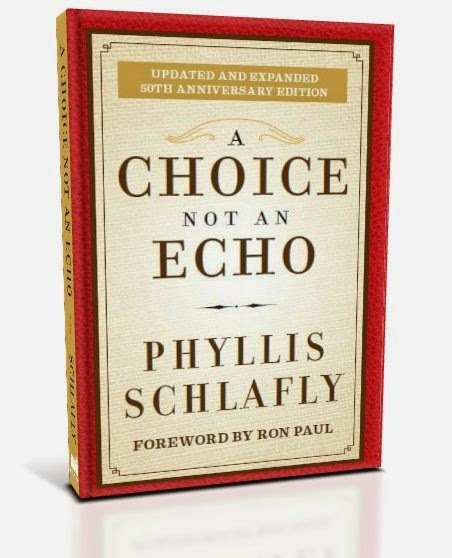 The lessons from the past about how Republican nominees are usually chosen by the kingmakers are described in my new book, A Choice Not An Echo. There you can read about kingmaker shenanigans not reported in any other book. Tags: Phyllis Schlafly, Eagle Forum, looking for the Next President, 2016, To share or post to your site, click on "Post Link". Please mention / link to the ARRA News Service. and "Like" Facebook Page - Thanks!